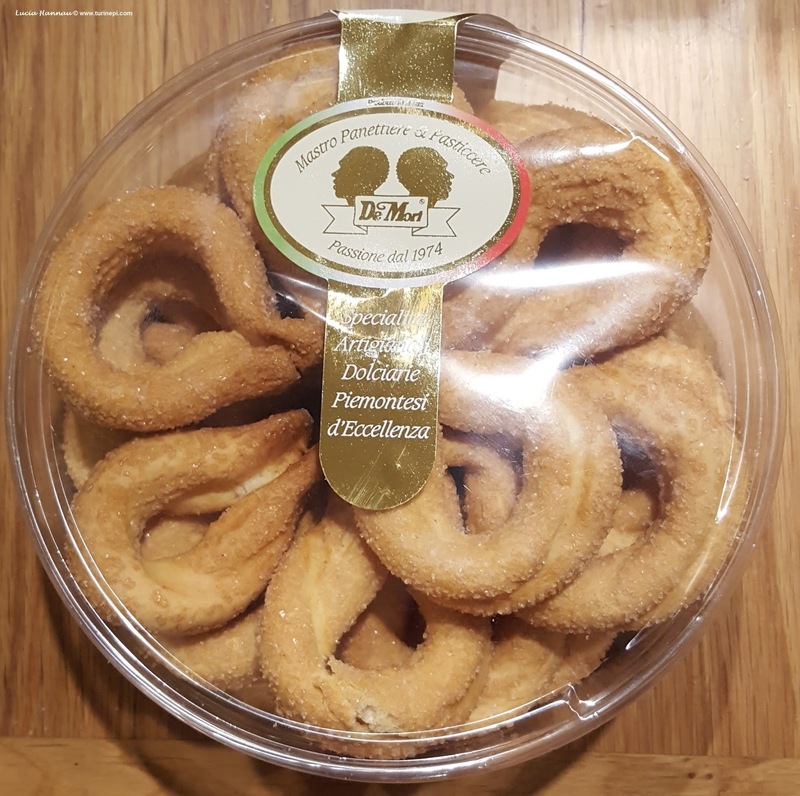 Today we'll tell you about torcetti or twisted cookies. There are many variants all over Piedmont, some are darker, some are thicker but they all date back to 1700. The most renown are from Agliè, in the Canavese district famous for Erbaluce di Caluso wine and its many castles. In this area, Ivrea is the main town with its famous Carnival. In 1854, the royal chef, Giovanni Vialardi listed 3 different recipes for torcetti in his Treaty of Modern Pastry - Trattato di Pasticceria Moderna, in 1854. Like many Piedmotese recipes, these cookies were also born by the chance in the country public ovens where people used to bake their bread together: most likely, while waiting for the oven to reach the right temperature, some bread dough was hand rolled into grissini breadsticks, sprinkled with sugar or brushed with some honey, twisted and left near the oven to cook. 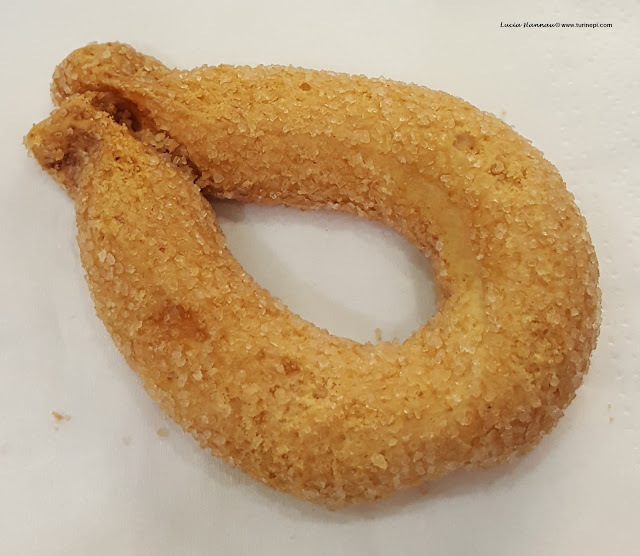 Speaking of roylty, the Canavese variant of torcetti was a favorite of one of the Savoy pricesses: Isabella Bona of Bavaria Savoy and Genoa who lived in the Agliè castle (from 11th century and still standing!!). In 1938, she appointed Francesco Pana as the royal torcetti maker and allowed him to print the royal crest on his packages. Today's torcetti are smaller and contain butter to make them tastier. Nobody really knows what the secret of the Agliè recipe is and what variant is older but their recipe is legally regulated and since 2002, they are officially certified as "Piedmontese traditional product"! Melt the yeast in 5 tbs of lukewarm water together with the sugar and the salt. Sift the flour and pour on the water with the yeast, sugar and salt. Knead till you get a smooth and elastic dough. Let rise covered for about 1h. Knead in the butter and knead for 10min. 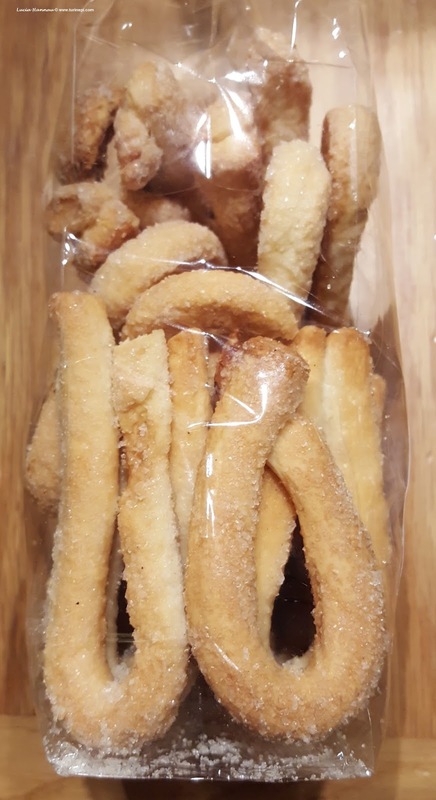 Pour the sugar on one side of your working area and cut the dough in small pieces that you will hand pull into sticks about 1 finger thick and 10-12 cm (4-4.7in.) long. Roll each stick in the sugar and cross the ends giving them a drop shape. Lay them on a parchment paper covered baking sheet and bake at 220C (428F) for about 15min. Of course they are a very tasty and unique souvenir for all foodies!